Castle Group Ltd has launched a brand new Lone Worker System for Lone worker protection. The Loner SMD has been developed specifically to address the ever increasing threat faced by people who work alone or unsupervised. This new product brings new features and connectivity, such that no one need ever be truly alone at work again! 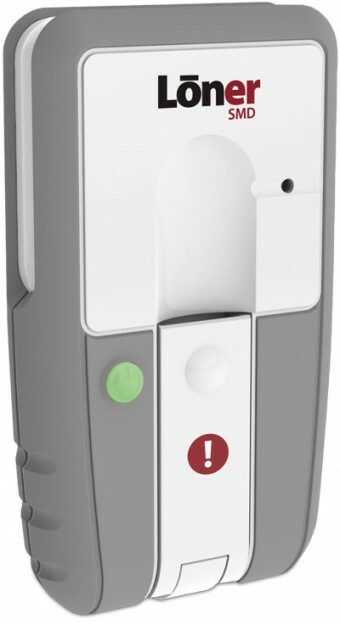 The key product in the range is the Loner SMD, which is a personally worn device that contains various personal protection features including a silent or audible panic alarm, a fall detector and a motion detector for man-down alerts. The system will also alert when its user logs on or off the system, all which can be tracked on a simple internet portal. In the event of an alert, the user can be pin-pointed via a map-based window on the web portal, which will also give details of the user and of the nature of the alert. This allows appropriate action to be taken to address any possible dangers faced by the employee. Operating over multiple mobile phone networks and with a high-power aerial, this product can send alerts even in areas of very poor mobile phone signal – much in the same way you can always call 999! Combined with high precision GPS, the loner SMD can optionally be used as a tracking device if this is of benefit to the organisation.